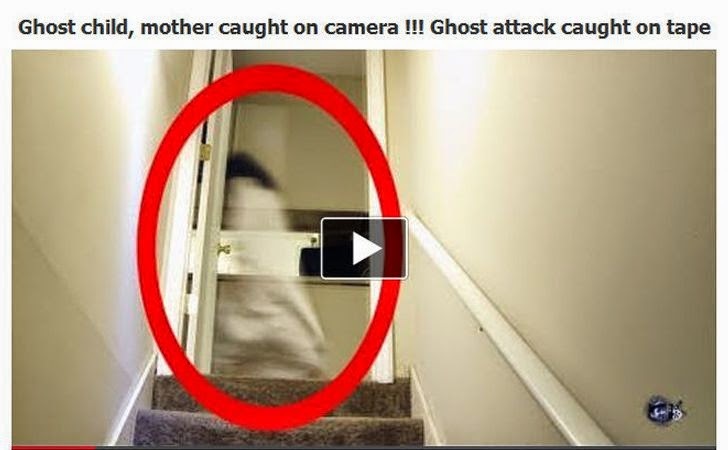 If your Facebook wall offers you any horror videos that claim to be of a real ghost spotted, don’t dare to click on them, as it may be hoaxes, malwares or scams contained within which are the real horror for the online users. 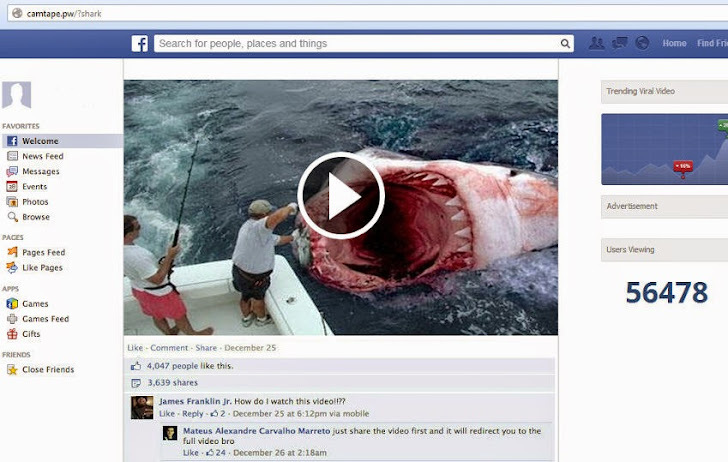 We have seen a lot of Facebook scams spreading through the Facebook timeline in wild that encourages users to click on it and fall victim, and this time some new horror scam campaign is going viral on Facebook. a video of Mermaids claiming they are back! Video of a huge great white shark tearing apart a sea captain. Facebook has become one of the most popular social networking website with more than one billion active users this year and daily hundreds of people join the networking website to connect with new friends and reconnect with their old friends. But, with the increase in various scams on Facebook to target users, it became very clear that not only does the social networking platform provide special opportunities for people to connect and share information; it also serves as a great and useful platform for scammers to spread malware or virus infections or redirect users to the sites of their own choice. Once again scammers have targeted Facebook users and encouraging them to open the scammed video and once clicked, Facebook users are either asked to download or install updates to the video players, but actually these installations will lead to successful malware installation to the users system. According to Malwarebytes, the ghost attack scam video will led users to the install PUP.Optional.InstallBrain.A, the Aswang prompted unsuspecting Facebook users to download “scan your PC” malware, the mermaids led to an iLivid install that was actually PUP.Optional.Bandoo, whereas the shark brought users to pages filled with spammy surveys and downloads. “That concludes our spooky train ride through a mid-May haunted house of doom. Please keep your hands inside the cart until the gates have opened, and avoid clicking on fake Facebook videos at the gift counter,” Christopher Boyd of Malwarebytes wrote. We have seen various suspicious posts on Facebook, like the recent “Facebook Security Warning!!! Do this before your account gets deactivated!” scam that threatens users with account deactivation if they don't register it again, and "See your Friend's naked video", an app offering you a chance to see who has viewed your Facebook profile, and many more. Sometimes these scams are very obvious and easily avoidable, but many times they are irresistible and easy to fall for. So, if you are served with any such suspicious post or any other suspicious link, do not click on it, no matter it’s from your closest friend.